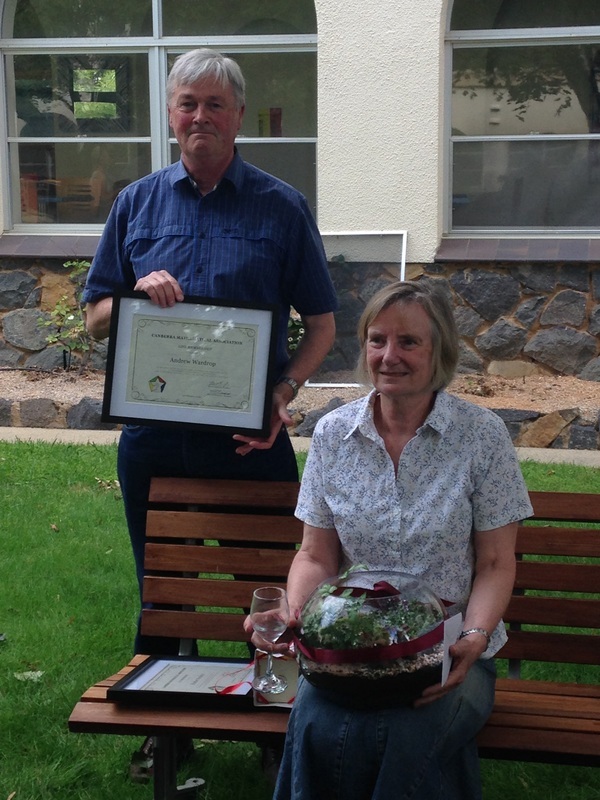 Heather and Andy Wardrop were made Lifelong Members of CMA on 12 February 2016, in recognition of their contributions to the Canberra Mathematical Association and the community for more than 30 years! Congratulations! 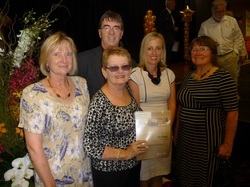 The CMA receives a Gold Award for 50 years of community service in the ACT, from Chief Minister Katy Gallagher. On Friday 30 March 2012 we held a special numeracy event at MCSS for 28 Year 6 students from our cluster Primary schools. The theme for the day was 'Triangles V's The Rest -who is the stronger?' We discussed the various qualities of different shapes and looked in particular at the strength of the shapes and what are the different tension and compression forces that acted on them. The students participated in a range of activities to help support our thoughts including building shapes out of toothpicks and jubes and trying to crush a raw egg in one hand. 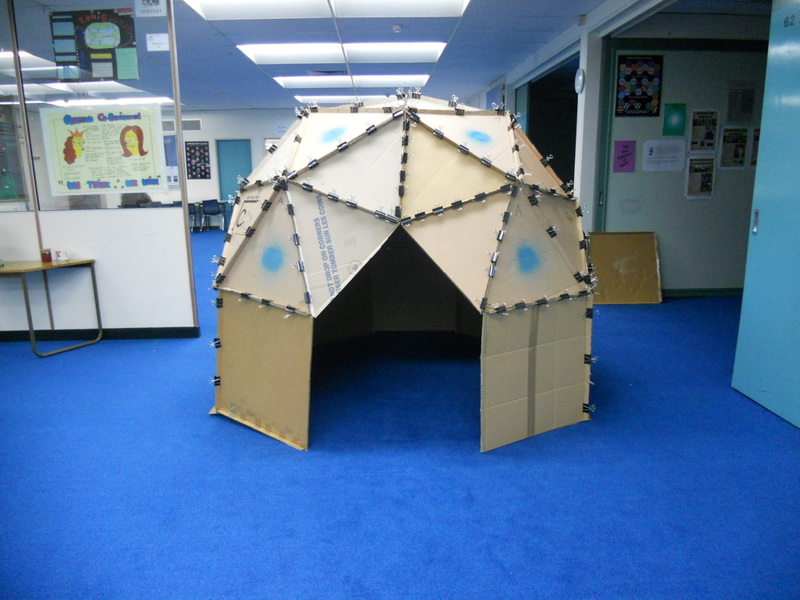 Ultimately we built a geodesic dome out of cardboard that was big enough for us to stand up in! A geodesic dome is a structure that needs no internal support but instead relies on the properties of strength that comes from the individual components that make up the dome. In our case we used two kinds of triangles - equilateral and isosceles, in a specific pattern - thus proving that triangles are superior in their strength. A lot of fun was had by all and the students went away with a design pack that supported the concepts that were discussed during the day including the ability to make a geodesic dome at home.